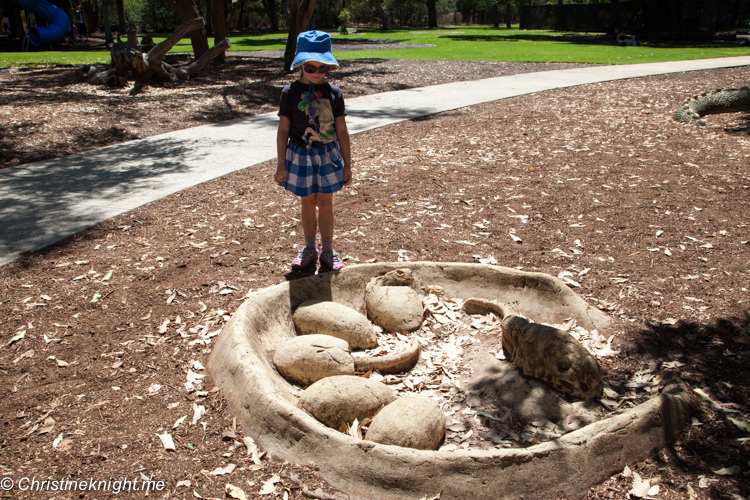 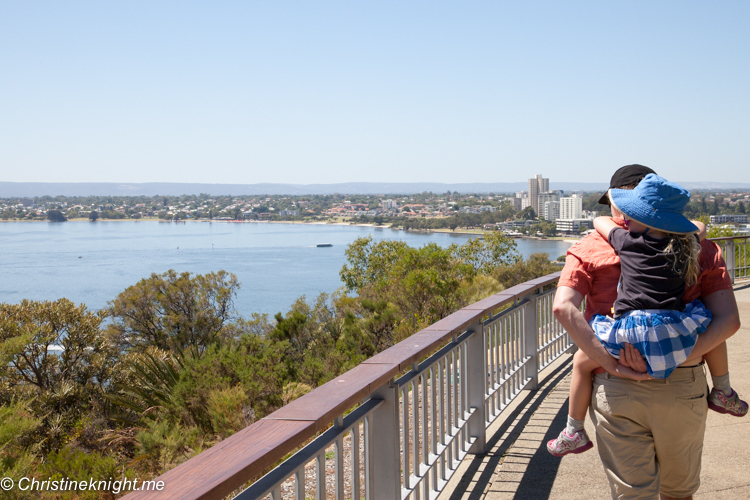 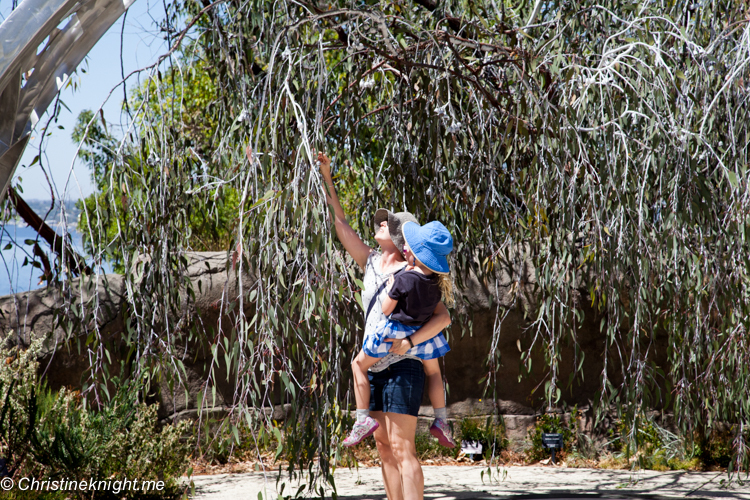 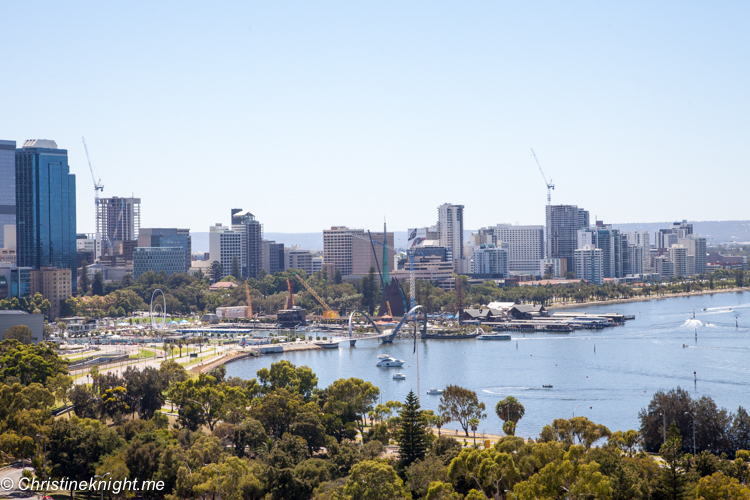 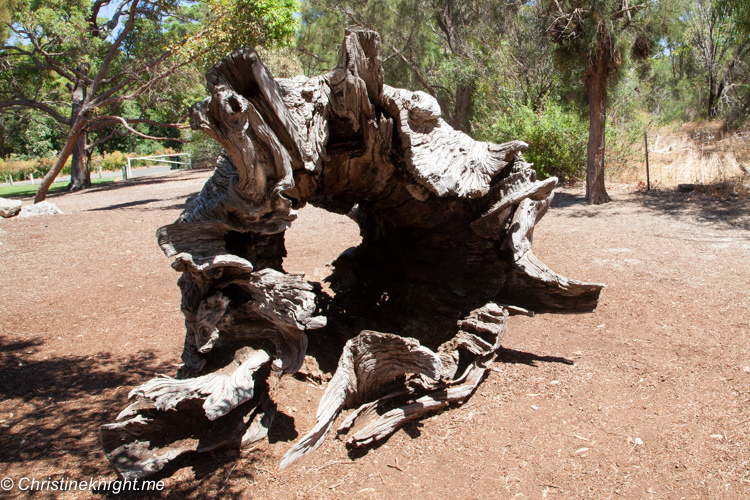 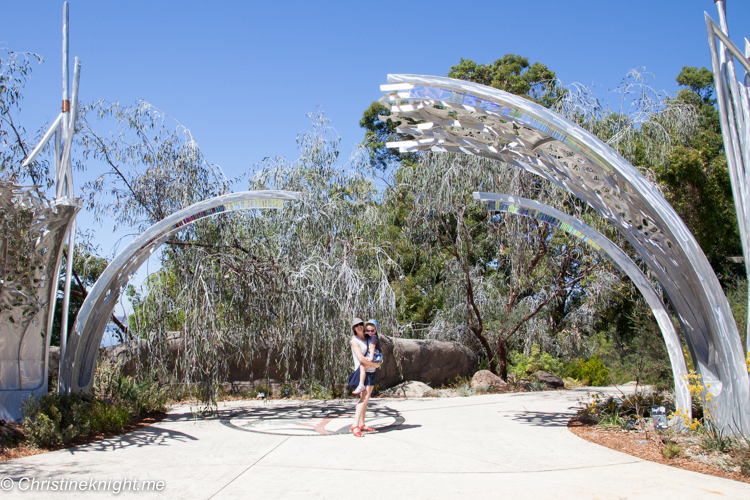 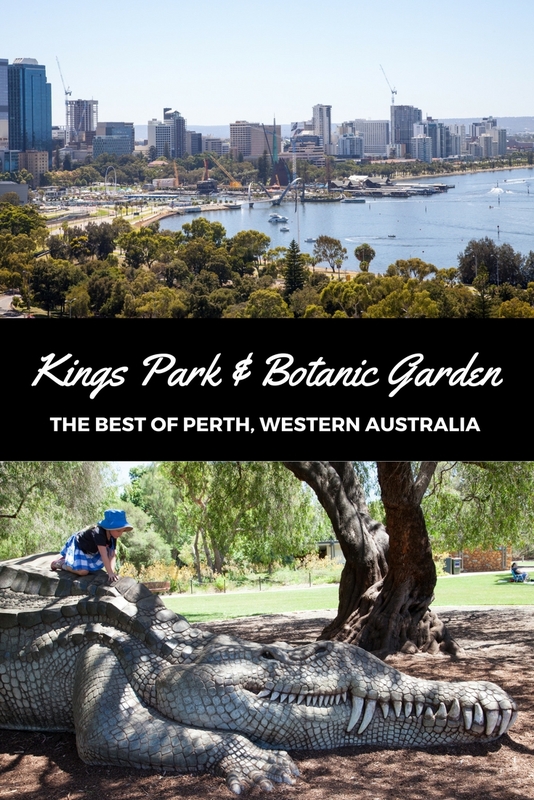 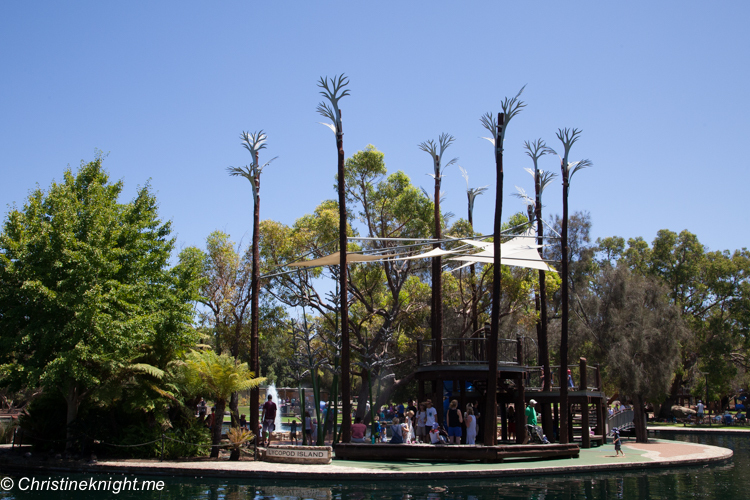 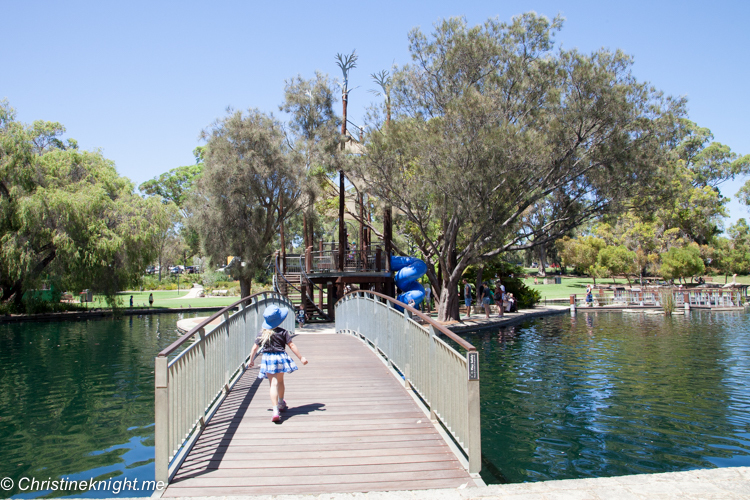 Kings Park & Botanic Garden: The Best of Perth, Western Australia - Adventure, baby! 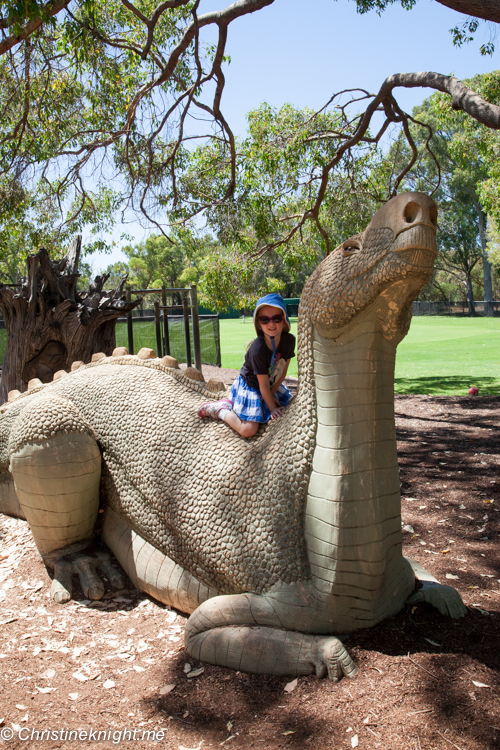 Let your wild thing roam free at Kings Park, a 4.06-square-kilometre park on the western edge of Perth’s CBD. 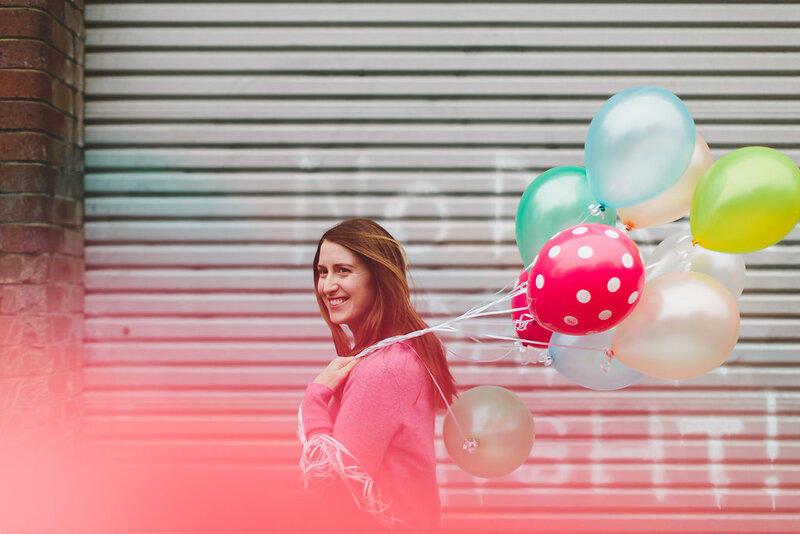 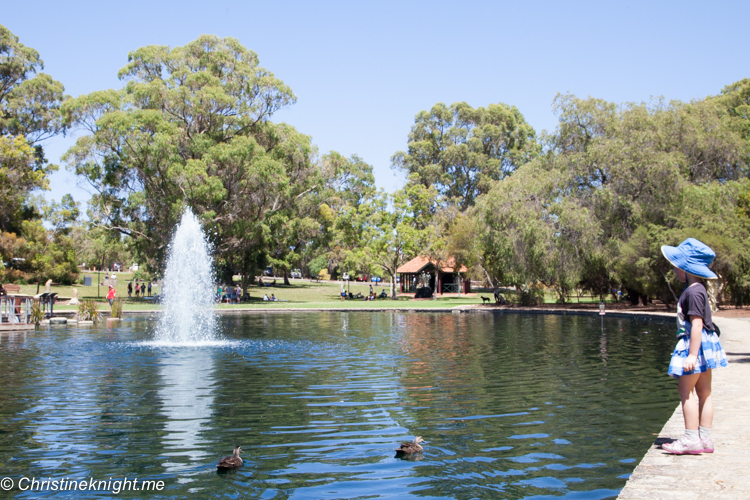 You could easily spend a whole day or even more in the park, there’s so much to see and do. 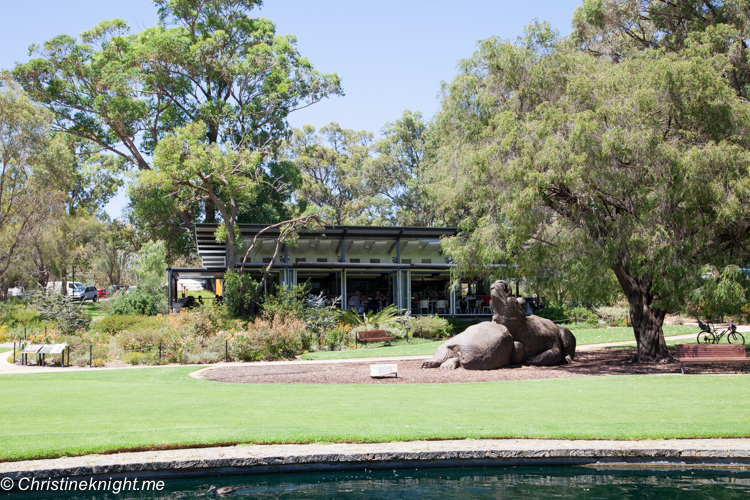 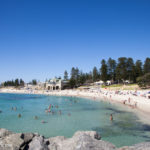 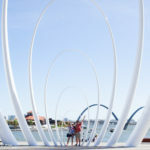 Enter the park via Fraser Avenue and pull over at the car park near the entrance to enjoy a short walk that takes visitors to the State War Memorial and Western Australian Botanic Garden entrance. 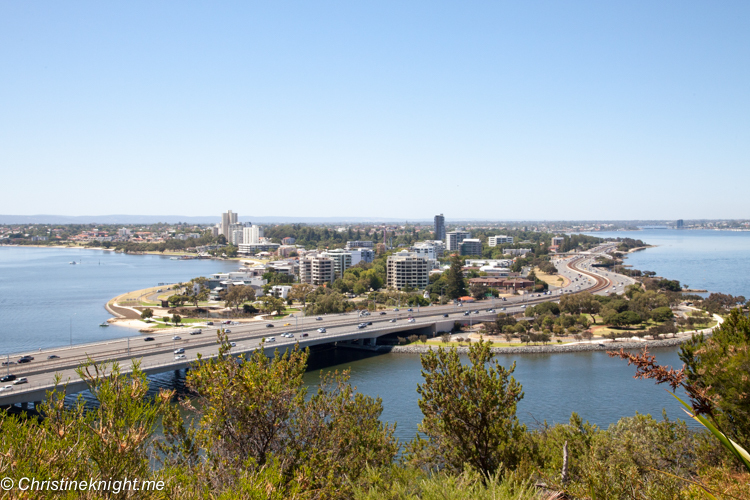 You’ll also get stunning views of the Swan and Canning Rivers, the city skyline and the Darling Ranges. 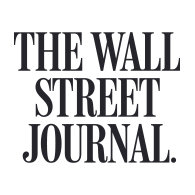 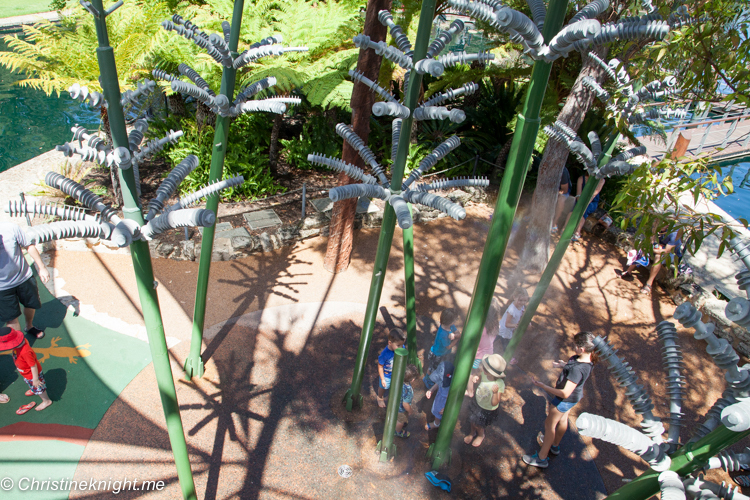 The place to explore more than 3,000 species of native flora, most of which are found nowhere else on the planet. 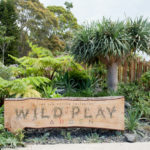 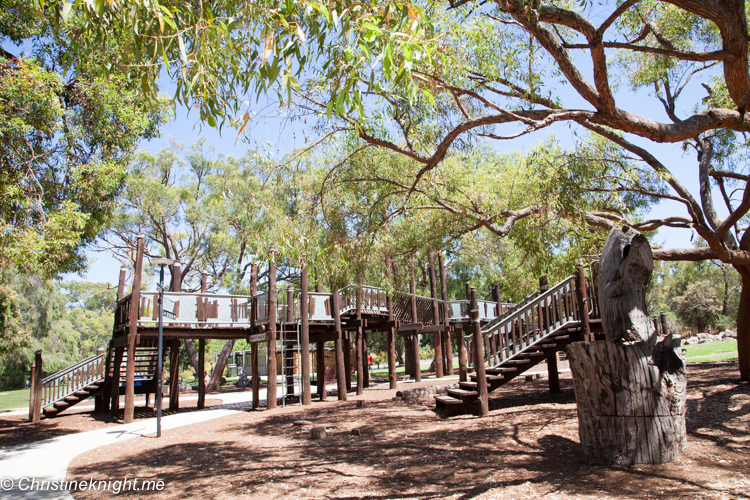 A place for children to connect with nature and to learn to appreciate the unique Western Australian environment. 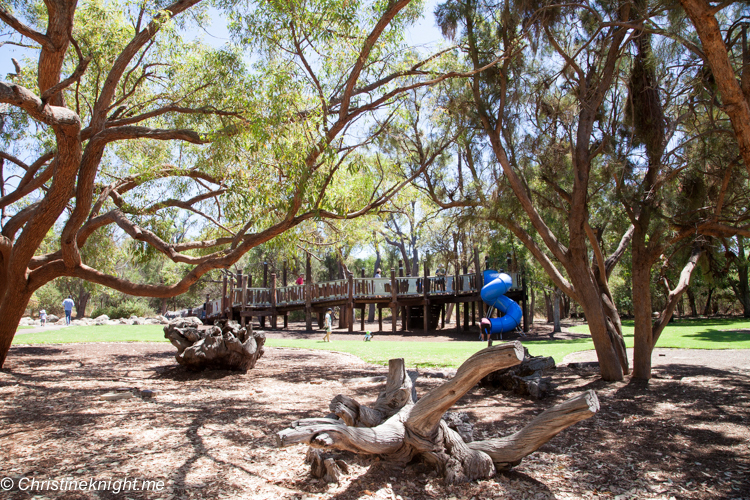 Our favourite part of the park, Synergy Parkland is a recreation area for the entire family. 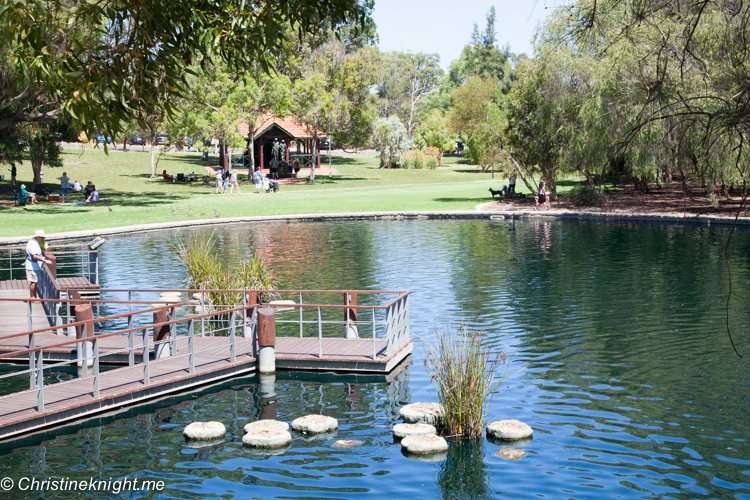 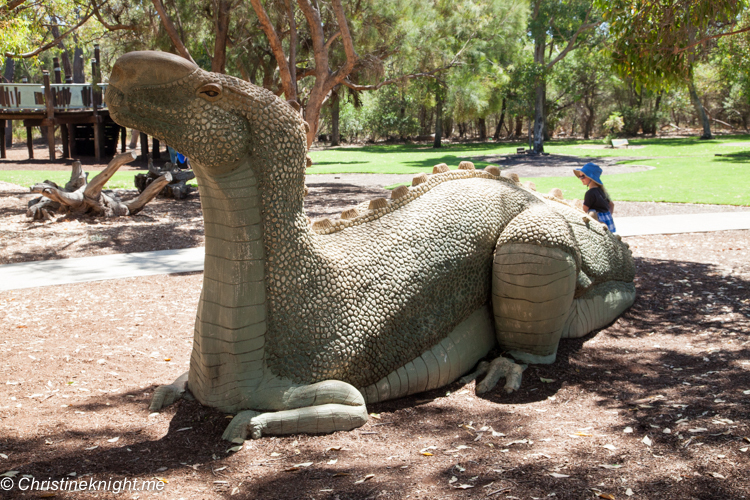 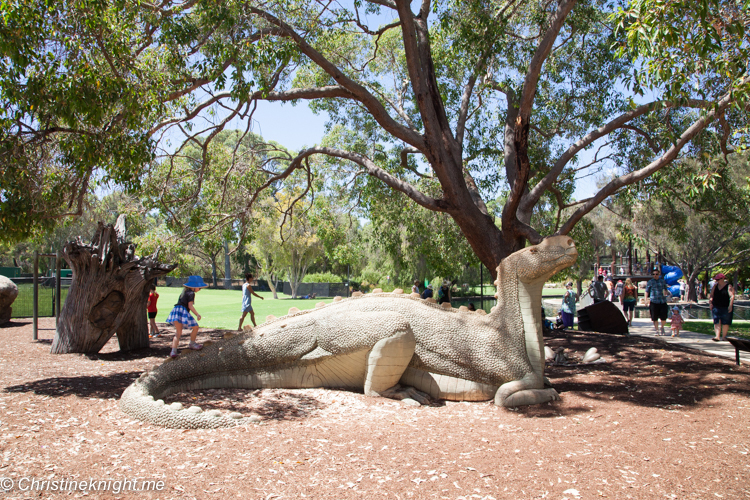 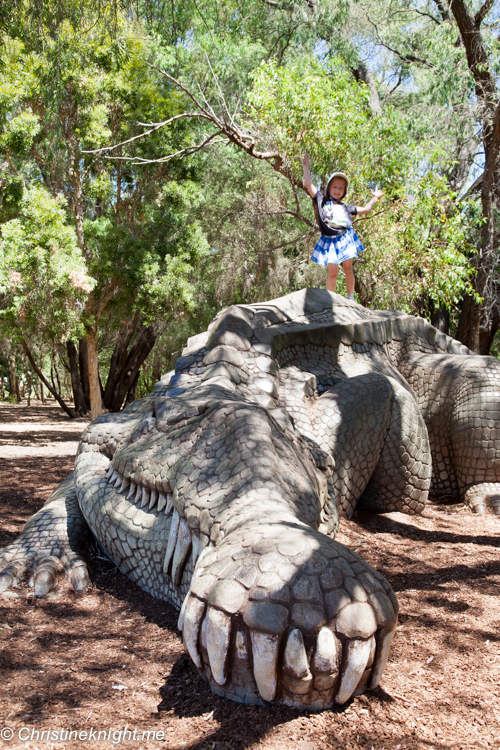 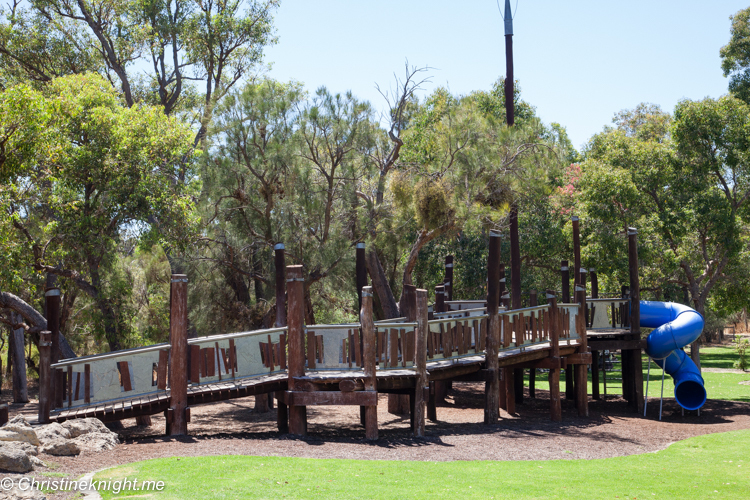 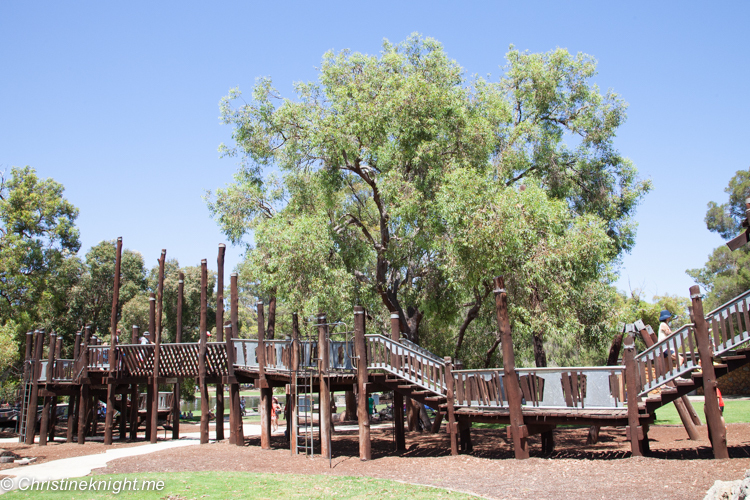 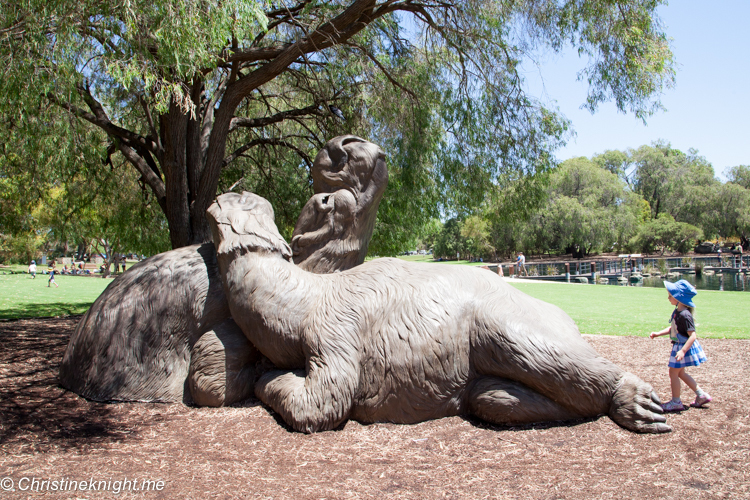 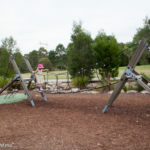 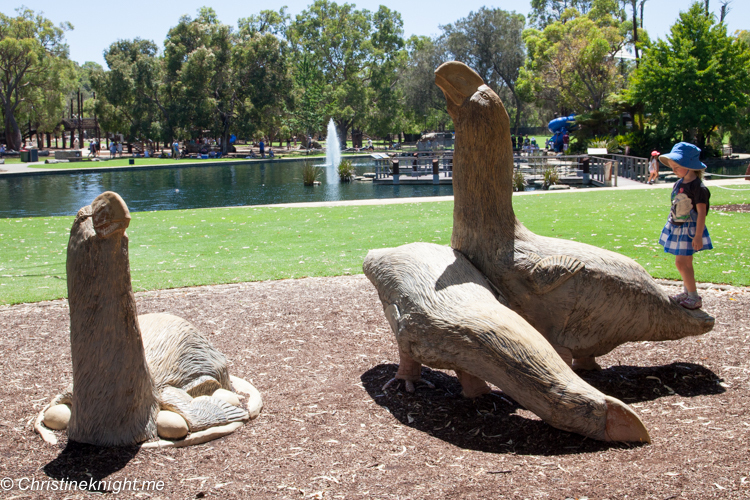 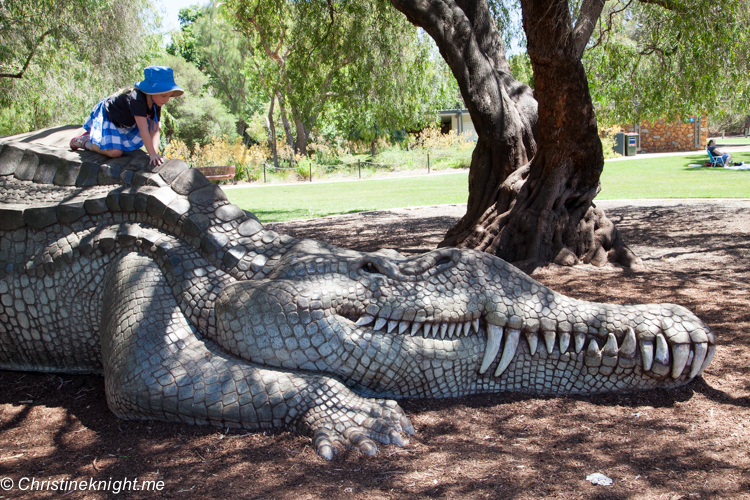 The area features expansive lawns for picnics, dinosaur-era themed play equipment and the Zamia Cafe. 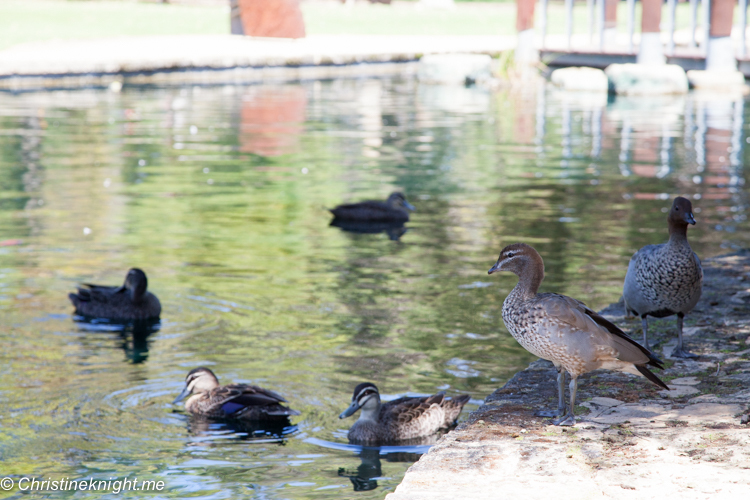 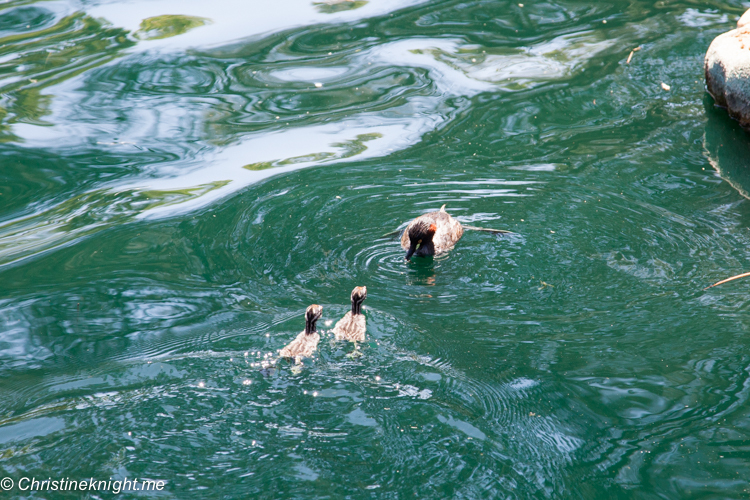 We also saw plenty of ducks on the pond (including babies!). 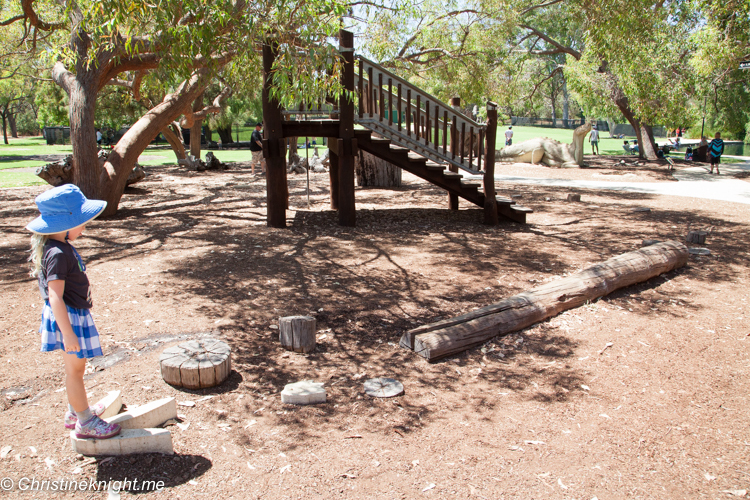 With public bathroom facilities and plenty of shade, this is a popular park for families to enjoy. 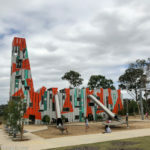 More info on Kings Park.